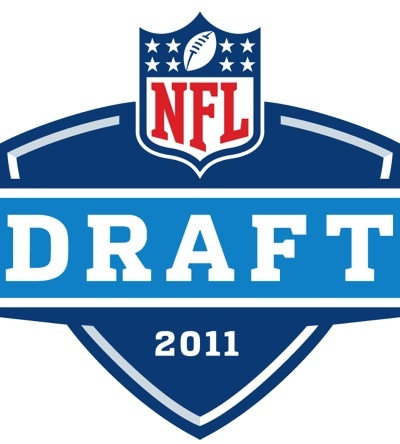 Welcome to the 2011 edition of the Dolphin Shout NFL Mock Draft brought to you by Sports Bets. The storylines of the 2011 NFL draft have been swirling around Cam Newton and the rare potential of this defensive line class. Newton is seen by many to be one of the toughest prospects to predict, which has helped make him the hottest topic of the draft. Although, his transition into the NFL has been heavily questioned, his draft stock doesn't reveal that at all. Newton has ultimately been projected to be selected within the first four picks in the majority of mock drafts. With the CBA looming over the draft, many teams will be forced to make decisions that aren't in the norm come April 28th. Since the unfinished CBA has disabled teams from any offseason moves, not only will teams not be able to operate as usual, but many teams will also be forced to put need over value when drafting the future of their franchise in this draft. With over a fourth of the teams quarterback needy, I believe this is the most intriguing aspect of this draft. What do Carolina, Buffalo, Cincinnati, Arizona, San Francisco, Tennessee, Washington, Miami, Seattle, and arguably Oakland and Denver have in common? They all need a quarterback. That’s an awful lot of franchises in need of the game’s most important positional player, and with no way to sign a QB through free agency (until the lockout is over) this creates somewhat of a sense of urgency with these teams. The general consensus is that Cam Newton and Blaine Gabbert will both be gone by the time the 9th pick is on the clock, and the other QB prospects are basically in a gray area. The most notable of the “2nd tier QB prospects” are Jake Locker, Ryan Mallett, Christian Ponder, Andy Dalton, and Colin Kaepernick. Where their destinations might be are much in question. The two wild cards of those QBs are Locker and Mallett, who I believe could go anywhere from the 8th overall pick to the 43rd overall pick. Both players have the kind of potential that could have them as high as a top two QB on some teams’ boards. Some teams will go with a proven veteran and some will enter into the Kevin Kolb sweepstakes. It will be interesting to see how the quarterback lottery plays out and which teams feel the pressure to draft a QB come draft day. I wouldn't necessarily go with Newton in the state that Carolina's offense is in, but they seem to love Newton's athleticism and potential........I guess I can't blame them after watching Jimmy Clausen operate Carolina's offense this past season. Dareus would be the perfect scheme fit in the transition to a 4-3 defense under new Head Coach John Fox. This also fills Denver's primary need. The Bills are still paying for drafting Aaron Maybin in the first round of the 2009 NFL Draft who has compiled a total of only 24 tackles and 0 sacks. Miller would be the ideal pick for Buffalo and I would expect him to make an immediate impact. Bengals Owner Mike Brown is a stubborn man, but even he can't downplay the threats Carson Palmer has made to retire if not traded. Gabbert could be a safe pick and potentially the face of Cincinnati's franchise. This isn't the Cardinals top need, but he is arguably the best player of the draft and I'm not sure Arizona could pass him up. Colt McCoy is in dire need of a weapon to throw to and Green has the potential to be a star in the NFL. New Defensive Coordinator Vic Fangio will run an aggressive, blitzing 3-4 defense, and although CB Prince Amukamara could be the pick here the 'Niners main need is to get pressure on the quarterback. Fairley showed this past season at Auburn that he is worthy of the top pick in the draft, but concerns of work ethic and other off the field issues could have him drop to this spot. He could solidify Tennessee's defensive line greatly. If the Cowboys don't trade back for an OT, I expect Watt to be the pick here. Three out of Dallas' top four defensive ends played on one year contracts in 2010 and new defensive coordinator Rob Ryan would be happy to take the top 5-technique of the draft. The Redskins could go in many directions with this pick.....they need everything. Santana Moss is a free agent and with no other receiver to open up the field, Julio Jones would be a very solid pick here. Houston also needs a rush OLB, but Amukamara would help solidify the worst secondary in the NFL. "The Williams Wall" has fallen due to DT Pat Williams' retirement. Liuget has the potential to be able to fill Pat's shoes. Ray Edwards is also a FA, so a DE could be the pick here. The Lions desperately need to keep the 2009 first overall pick Matthew Stafford healthy, and Costanzo could be plugged in at left or right tackle for day one. Head Coach Steve Spagnuolo can never have enough defensive linemen. If St. Louis' medical staff gives the ok on Bowers, I believe it would be very tough for the Rams to pass up. *Paul passes out due to excitement* Mallett would be an absolute shocker to most if he went here. I believe some team will be in awe over how pro ready of a QB Mallett is, and Miami has been looking into him deeply. Chad Henne is just not getting the job done. DE Aaron Kampman is coming off his second torn ACL and the Jags are coming off a season where they compiled just 26 sacks. They take one of the most athletic DEs in the draft in Smith. The Pats need an edge rusher who can create pass rush opportunities for others. Jordan is a top 5-technique DE in this draft and fits the bill perfectly. San Diego needs a defensive player in the front seven badly, but Smith could start at right tackle from day one and stay there for the next decade. Ingram is the most solid back in the draft, and Head Coach Tom Coughlin would love to see some consistency at RB. With the expected release of CB Aqib Talib, the Bucs could go for CB Jimmy Smith, but taking Kerrigan would solidify the defensive line after taking DTs Gerald McCoy and Brian Price in the first two rounds of the '10 draft. The Chiefs have virtually no depth at OT, and Solder could help them continue the rushing attack brought on by Jamaal Charles and Thomas Jones. The Colts need to protect their most expensive toy (Peyton Manning). Carimi would be a no-brainer here. Andy Reid believes that games are won by the big men in the trenches. Philly needs help solidifying the offensive line, and Pouncey's diversity could put him at OG or C.
The Saints registered one sack or fewer in seven games this past season. Although DE Will Smith is a solid veteran, New Orleans needs fresh legs at the position. The Seahawks have only drafted two quarterbacks in the past six years. The aging Matt Hasselbeck is a free agent and Charlie Whitehurst is under contract for one more season. I see Dalton being a good fit in Seattle's west coast offense. Smith's talent is well superior to the 26th pick, but off the field concerns could land him this far. This could be one of the best value picks of the draft. Future hall of famer Tony Gonzalez is likely to retire after the 2011 season. If Atlanta checks out Rudolph medically, this would be a great scenario for Rudolph to be groomed under Gonzalez's wing (pun intended). New England found a solid OLB in Jermaine Cunningham, but they need to find another OLB to compliment him. Ayers is a solid, all-around OLB that should fit the need. DT Tommie Harris was released in the offseason and DT Anthony Adams is a FA. Da Bears will be on the lookout for a big, athletic player on the DL like the 315 lb. Wilkerson. The Jets' number one need in 2010 carries over to 2011, which is a pass-rusher. The 37-year-old Jason Taylor is a free agent, and even if they were to re-sign him, youth at OLB is much needed. Watkins is a tough, hard-nosed player that just looks like a Steeler. He would immediately help solidify the offensive line that was left in shambles after the 2010 season. 32. Green Bay Packers - Cameron Heyward, DE, Ohio St.
Cullen Jenkins is a free agent and Johnny Jolly was arrested in the offseason for possession of codeine. Grabbing Heyward here would be great value as he is one of the draft's top 5-technique DEs. Thanks for reading the first edition of the Dolphin Shout NFL Mock Draft brought to you by SportsBets.net. Feel free to leave me any comments, questions, or other feedback you'd like below. If you would like to contact me by email, just email me at john@dolphinshout.com. I'm also on twitter at twitter.com/JBleech.